Calling All Lefties! 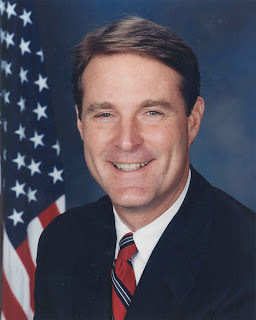 Let Senator Bayh hear your voice! This evening, 20 College Democrats of Notre Dame got together and made over 1000 calls to Hoosiers in Northern Indiana asking them to call their Senator. If you haven't already had the chance, take a minute and call. Your voice matters! Here's the Democratic Strategist take. But if people hate it, then its not a success and you cant build off it. Throwing more money into a fundamentally unsound system is the wrong approach, I think. "Political liberalism has no quarrel at all with wealth and power. It timidly exhorts the wealthy and powerful to play nice; but if they don't choose to take liberalism's advice, then liberalism sighs, and wrings its hands, and murmurs something about being "realistic." I laughed out loud when I read this. See this is the way the "liberals" in congress and our Democratic leadership choose to deal with problems in our country. Take the banking issue for example, Obama has asked them to stop engaging in fraud, but he wont make them do it. He has asked the drug companies to make drugs more affordable for people, but he wont punish them if they don’t. He says he wants a viable public option, but he wont commit to anything. He wont use the government to enforce the will of the people, because, you know, that would be rude. He will just ask nicely, and if he doesn’t get it, he will "sigh, wring his hands, and murmur something about being realistic." 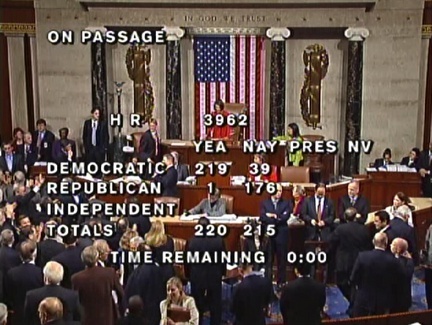 Saturday evening, The US House of Representatives passed HR 3962 by a vote of 220-215. 176 Republicans and 39 Democrats opposed the bill. The following Democrats voted against HR 3962.